Your go-to for all the latest trends in men’s and women’s shoes, boots, bags and accessories. From the most fashionable pair of shoes for a night out to day-to-day If you’ve spotted it in a magazine, Aldo will have it, and probably just in your favourite mall. Reasonable prices for the hottest trends, Aldo has everything you need for your best foot forward. Aldo has FREE Shipping on All Orders with no minimum. 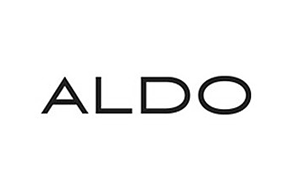 Click here to view Aldo Canada online offers. 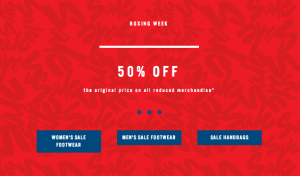 - December 26, 2015: 50% off original, all reduced styles. 20% off all regular price merchandise. - December 27 - January 3, 2016: 50% off original, all reduced styles.